Young adulthood comes with many struggles and changes. Not only do young adults have to grapple with college and navigate romantic relationships but they also have to maintain platonic relationships. However, not every friendship works out in the end. 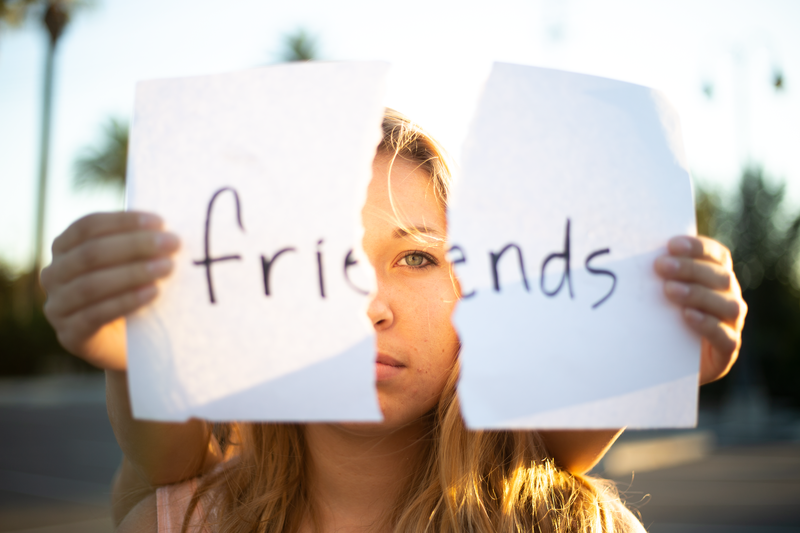 Breaking up with a friend can be a difficult experience to accept and move on. Hannah Curtis, sophomore biology major, said she dealt with several imperfect friendships but one friendship stood out form the rest. Curtis said her experience with this friend made her more cautious about who she trusts in her life and helped her be- come more aware of the peo- ple who know intimate details about her life. “It’s important to establish trust and find out about people’s integrity before you start shar- ing your life with them,” Curtis said. However, Curtis said, this does not mean that you should close yourself o completely from new people and should still be honest with others. “There’s definitely a place for vulnerability in your relationships but you also need to be aware of who you’re being vulnerable with so it’s not a hazard to yourself,” Curtis said. Curtis also said it is necessary to not let what people say interrupt true friendships and get in the way of people who care and who matter, not those who try to tear you down. Ryan Halsey, sophomore political science major, said his experience losing a friend made him skeptical of people’s intentions and making new connections with people. Halsey said after taking the time to process everything that happened, getting past his friend “break-up” was freeing and helped him realize what a genuine friend looks like. After that, he said he focused on making genuine relationships count. Michelle Trussel, sophomore journalism & new media major, said she contended with “friend drama” throughout high school. Since leaving home and starting college, Trussel said she has learned what healthy relationships look like and is now much more careful to build fewer meaningful relationships than many fake ones. In her friend “break-up,” Trussel said there was of stubbornness and miscommunication between herself and her friend. This led to many other problems and ultimately ended their relationship. “A lot of the issues in my friendships were about myself and unhealthy habits I had, but those relationships usually ended because one of us was hurt by the other and neither of us were committed to fixing it,” Trussel said. Trussel said one situation in paticular was di cult because it involved a friend she had for years. In terms of preserving struggling relationships, Trussel said being honest and open regarding feelings is the most important thing to do. “Everyone says communication is key (because) it’s true,” Trussel said. However, Trussel said that sometimes ending a friendship can be better than toughing it out if there are major issues. Ending friendships — no matter how long you have known the person — will hurt for a while but there are always ways to move on and learn from those experiences.